If your home needs new windows, you are probably mostly concerned with finding the right ones. While it is certainly important to buy quality windows for a home, hiring the right company to install them is even more crucial. When windows aren’t properly installed, they don’t look or function as well as they are supposed to. They may also be less energy efficient than they could be, which means less comfort and higher energy bills. One-Stop Shop – It’s generally best to buy windows from and have them installed by the same company. That is the way that most people do it, but some folks purchase windows from one place and have another install them. The problem here is that the installer may not be familiar with that particular model of windows and may not install them properly. Stick with companies that install the windows that they supply for optimal results. Certification – It is easy for a window installer to say that they do good work. Have them prove it by asking what certifications they hold. 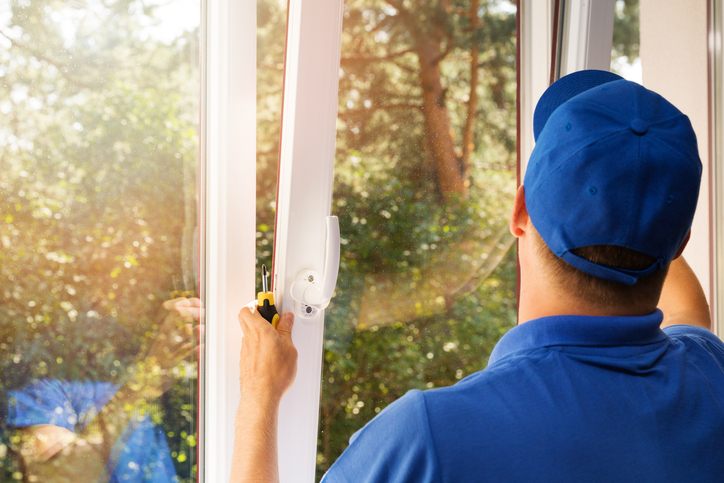 Window installers can be certified by window manufacturers after undergoing training at the factory. To earn such certifications, a window installation company must meet many rigorous standards. By choosing an installer that holds such certifications, you can rest assured that they care about the quality of their work. References – An installer can possess the right certifications and still not pass muster in terms of customer service. With that in mind, always request references from any installers that you consider. Ideally, they should come from customers who have hired them within the last six months. While you’re at it, check out Better Business Bureau to see if any complaints have been filed against the installer. You might also check Angie’s List and other review sites. Interview – After narrowing things down to two or three, contact each and ask them some questions. Find out their official business name and address, and ask how long they have been in business. Ask them how they handle complaints. Get information about the windows that they supply as well as about the window manufacturer. Warranties – All too often, people assume that new windows are protected by solid warranties without actually checking. The windows that you buy should be warrantied against defects by the manufacturer. Additionally, the installer should warranty their work. If a window installer doesn’t offer both materials and workmanship warranties, cross them off the list. Windows are a major investment, and you deserve to be protected for the foreseeable future. Their Process – A good window installation company has an established process for performing installations. Ask each installer how they do the work. One thing in particular to ask is whether they remove an old window and immediately install a new one, or if they remove all of the windows before installing the new ones. Ideally, the installer should do them one at a time. Otherwise, if issues arise along the way, you will have a bunch of gaping holes in your home. Insurance – Never assume that a window installer has insurance. Even long-standing contractors sometimes try to get by without it, which is risky. At the absolute minimum, the right installer will have comprehensive liability insurance and worker’s compensation insurance. Ask for proof of each, and make sure that you aren’t being shown insurance for something else. If a contractor is unwilling or unable to provide proof of insurance, move along. Good windows can last for decades. Odds are that you will only have to buy windows a few times in your entire life. Considering what an investment this type of project is, doesn’t it make sense to take your time when selecting an installer? Remember, the quality of the windows that you buy is just one piece of the puzzle. The manner in which they are installed is another. If installation is done poorly, you will pay for it before too long. Rocky Mountain Exteriors is a certified window contractor serving all Southern Idaho and Eastern Oregon areas. We offer complete and perfect window replacement, sliding patio door, and french door replacement and installation services.